We love Twitter, it makes communication so easy and convenient, but most users still think it lacks something, like how to share photo on Twitter? Well, many web developers make some useful web services, they make you share files on Twitter much easy. Twileshare is one of them. Twileshare offers 1GB space for you upload photo, DOC, PDF files that can easy to be sharing on Twitter. It is easy to use, just use your Twitter's ID to sign in, upload your file, it supports different image files, PDFs, Word and Excel files up to 20MB. 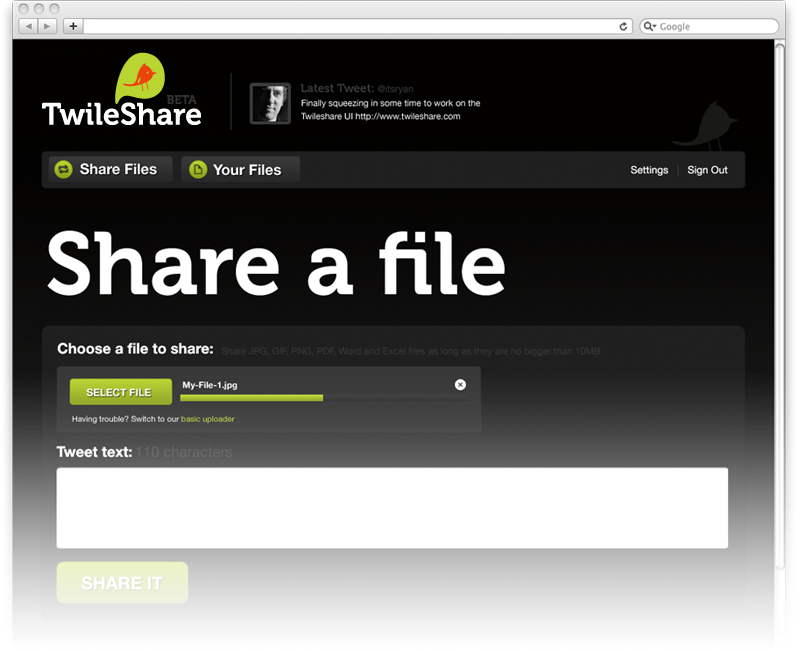 It gives you a shortened URL to share file on Twitter. Now, it is still on beta version, requires invitation to join.